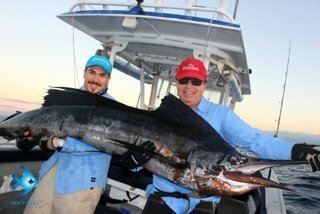 GT’s, Wahoo, Walu and Sailfish packed this 4 day charter! Arriving at Volivoli Beach Resort were Anita, Brian, Ryan and Lauren Keith a family of keen anglers from Sydney Australia. Scheduled for 4 days of fishing the weather forecast was in our favor with light trade winds predicted.